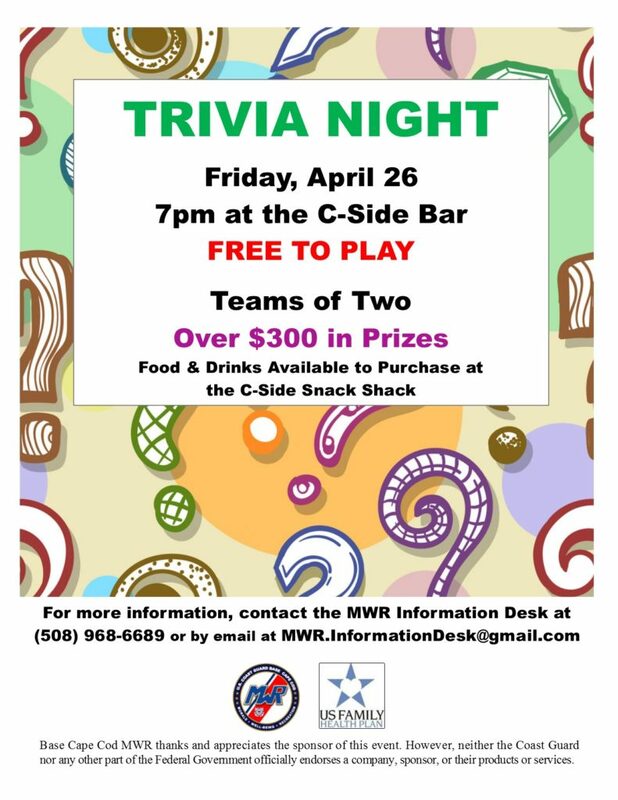 Join us for another popular Trivia Night at the C-Side! Teams of two will compete for some great prizes from our sponsor, US Family Health Plan. Hope to see you there!